As we always say, iPhone is one of the best devices to have, for the day to day usage. Other than the normal usage your iPhone can do all sorts of magical things that you probably aren't aware of. 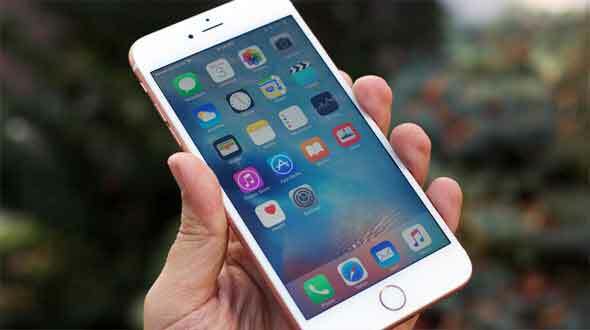 Today in this article we are going to talk about the 10 such hidden features which your iPhone can do, and chances are very high that many of us would not know about all these features. So be ready as we start the first tip. Siri is one of the wonder for the iPhone and it’s become more intelligent with the time. Siri can help you to read your emails as well, just say the magic words "Read my email" and Siri will read all your messages aloud to you. If you like, you can tell her to read only your most recent email ("Read my latest email") or just those from a specific contact ("Do I have email from Mark?"). Just ask her: "What flights are above me?" Or you can be even blunter and just say, "Planes overhead." Boom! She"ll brings up a list that shows all the flights above you at that moment. Why you would ever need this I have no idea, but it's pretty rad anyway. The best part about this is that it makes you feel smarter than Siri. Whenever Siri mispronounces something, just tell her, "That's not how you pronounce [BLANK]" and she'll offer you alternatives. You can then select the best one. This one is super useful. When you scroll—or as Apple calls it, "scrub"—through a movie or a song, the default mode is high-speed scrolling. This sometimes makes it hard to find the exact spot you want. But you can control the rate at which you scroll. To do this, hold down the dot—or "playhead"—in the scrollbar at the top of the video screen (tap the screen to display the scrollbar if it isn't visible) and slide your finger straight down without lifting it. This allows you to change the scrubbing speed to half-speed, quarter-speed, eighth-speed ("fine scrubbing"). Once you've selected the speed, move your finger left or right (without lifting it) to scroll. If you hold down the capture button, your phone will take a series of rapid shots, or bursts, in quick succession. This is especially useful if you're photographing a moving subject. Later you can scan through all the bursts and pick your favorite ones. Drag the text bubble to the left and you'll see a timestamp for every text message. Among other things, this will show you just how much time you waste texting. I like to use this one randomly just to freak people out. First you have to enable Speak Selection. To do that go to Settings > General > Accessibility > Speak Selection and turn it on. A "Speak" button will now appear whenever you select text. Bonus: you can also choose different accents (would you prefer an Aussie iPhone?) and even control the speed at which selected text is spoken. Trust me; you can waste a lot of time with this one. It can get annoying when you're trying to take a picture and your iPhone camera keeps refocusing and automatically adjusting the exposure. But you can lock in the focus and exposure by pressing and holding your finger on the screen until you see a yellow square blink twice. A yellow icon that says "AE/AF Lock" will appear at the bottom of the screen letting you know that you've locked in the exposure and focus. It'll stay that way until you're done with the shot. This is one that very few people know about. Next time you're using your Mail app, hold down the Compose icon in the lower right corner of your screen, and it'll quickly jump to a list of your drafts. I use this feature all the time. This will let you change the vibration pattern for alerts and notifications. Go to Settings > Sounds > Ringtone > Vibration > Create New Vibration. You can also customize the vibration pattern for individual contacts by following the same procedure from your contact list. This way, you can tell whose calling or messaging you just by feel. These are some of the tips which are hidden and we believe that most of them are new for you. If you know some more hidden features of iPhone, then share with us in the comment section below.